The best and latest guest-inspired content is gathered in this resource guide for you to explore. Hello, there! Thanks for your interest in the people who inspire me. My name is D.N.Frost, and I'm a fantasy author, fictional cartographer, and avid reader. As I work to share my Tales of the Known World saga with the world, I encounter a number of different people with assorted interests. When our interests coincide, I get inspired to write about them, and sometimes we end up collaborating together! Whose work has inspired me so far? I love hearing good stories and learning new things. I've benefited from some great resources on writing, storytelling, history, and running a creative business. To get to know the people and projects that inspire me, please enjoy this collection of short project memoirs and guest recommendations. Download your inspirational content guide Guest Resources here. These are stories of my collaborations with and appreciation for other people. You'll learn about my projects with other platforms, discover my favorite online resources, and find out who's inspired my own work. Whether you are a world-builder, a fantasy fan, or an indie author looking for new connections, this download introduces you to the best hidden gems the web has to offer. 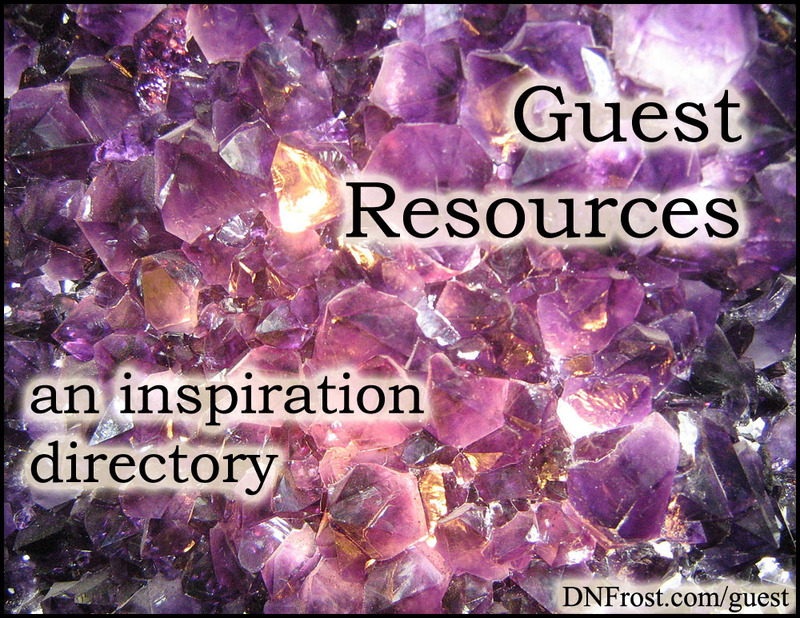 This resource directory also links to a number of guest inspirations and longer blog posts, so you can delve deep into your favorite content. I'm proud to offer you this compilation of great people from around the web, and I hope you use this resource to broaden your own horizons.